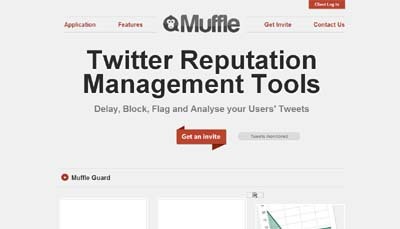 Muffle is a web application that helps companies have some control over what their users tweet. Muffle aims to help mitigate PR disasters whilst also helping the companies to capitalise of PR positives. Examples of potential clients would be a football club and it’s footballers, A political party and it’s politicians, a PR firm and it’s clients. Any brand that has individual directly or indirectly tweet on their behalf. Muffle focuses on monitoring and reputation management rather than marketing and data mining.